Check out all the features that were added to Minecraft Bedrock 1.2.14 if you have not done so yet. 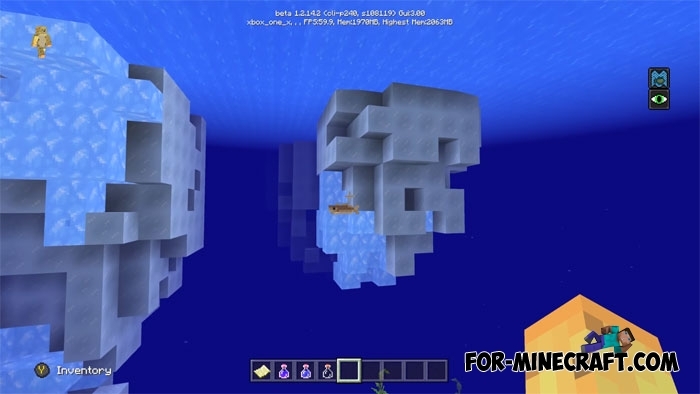 In fact, this water update is quite ambitious because the developers decided to create a completely new underwater world with its inherent features. If you paid attention to the list of changes then you probably saw icebergs. 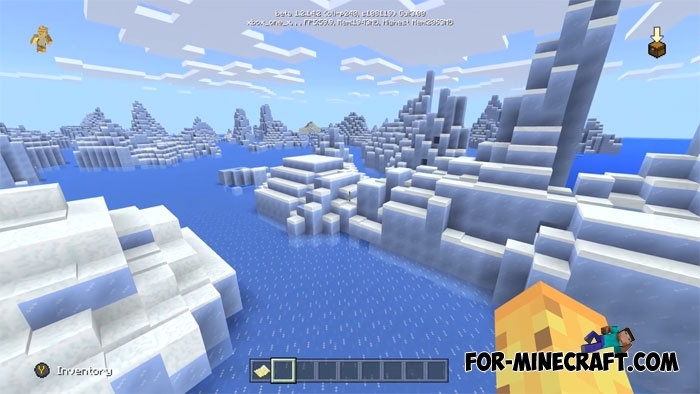 Now you can see them in cold biomes where there is an ocean. This seed shortens the search time and you instantly find yourself next to these amazing natural structures. Icebergs are not only an ice mountain, the bottom of the iceberg is under water that you can check breaking the ice and plunging into the water. Use icebergs as a basis for a small hut. It is also a great source of ice and snow blocks. Be sure to upgrade Minecraft PE to version 1.2.14 since there are no icebergs in the older versions.